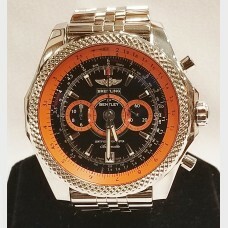 Breitling is known for its specialty in professional technical chronograph watches. 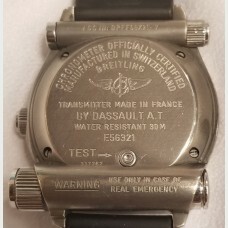 We generally carry a varying supply of authentic, certified Breitling watches that come with a 1 year warranty, with an option for an extended year for a fee. This extended year at a fee, includes a free polish. Come in or give us a call for availability. 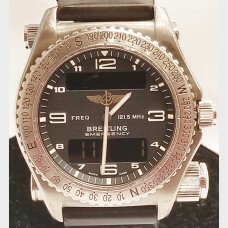 Breitling Emergency aeronautical watch w/titanium case. 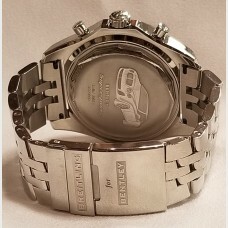 Watch comes with two bracelet bands; one mad..